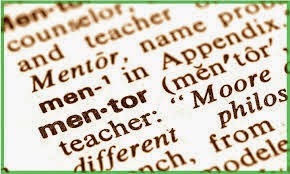 Never having had a specific mentor relationship with anyone, I admit to being in a conundrum over today's prompt, I once had a mentor who.., for Blog Everyday in May. In my career I have certainly had experienced and trusted advisers. Each has taught me something worthwhile about work or myself, in some cases both. Hopefully they know who they are and that I am forever grateful to them. Jerry is dating a protege, Abby. Another comedienne, Kenny Bania, is dating her mentor. Jerry is outraged, believing he should be dating a mentor instead of this hack comedienne, Bania! After seeing Bania's act, Jerry's girlfriend loses all respect for her mentor and fires her. Bania's girlfriend also subsequently dumps him after seeing his act. Abby ends up choosing George as a mentor, much to everyone's surprise. And Jerry becomes mentor to the hack comedienne, Bania. George, always with an ulterior motive, uses Abby to summarise a Risk Management textbook because he has to give a lecture on the subject to his company as his resume states he is an expert in the field. In turn, Jerry attempts to enlighten Bania on the quirkiness of Ovaltine. When their information gets mixed up, George ends up lecturing his company on Ovaltine and Bania does a bit on Risk Management, queue hilarity.